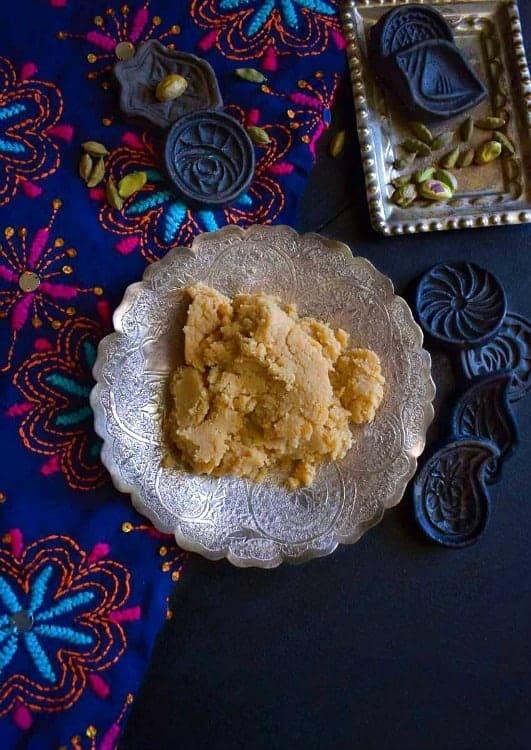 The Indian Festive Season is in full swing (started yesterday) and here I’m with my Bengali Sandesh Recipe for you’ll. 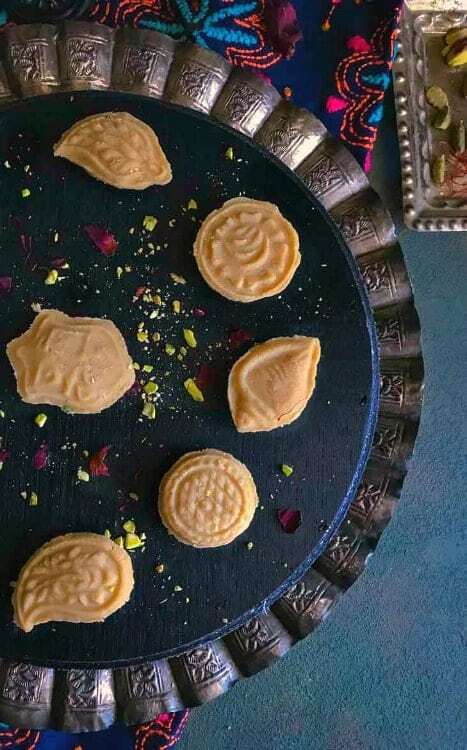 Sandesh is a sweet, lightly flavored, cheese fudge that’s extremely delicious. Every year, end of September or early October marks the beginning of winter Indian festivals and they end by March or April. Being such a large country, every state/region have their own little festivals too and that means that the entire country is completely immersed in celebrations! And, when we say celebrations, our thought always goes to ‘FOOD’ First 🙂 be it any city or state, then comes the decoration followed by clothes, etc. For those of us, who can’t travel back home, we host our very own Indian festival parties with friends/family and make sure we create an environment similar to that in India. It’s one of ‘THE MOST Popular’ sweet from Kolkata (apart from Rasgulla – Eastern India). Now, a traditional Sandesh is made by boiling milk, then converting it into cheese, then going ahead and sauting, mixing more ingredients. 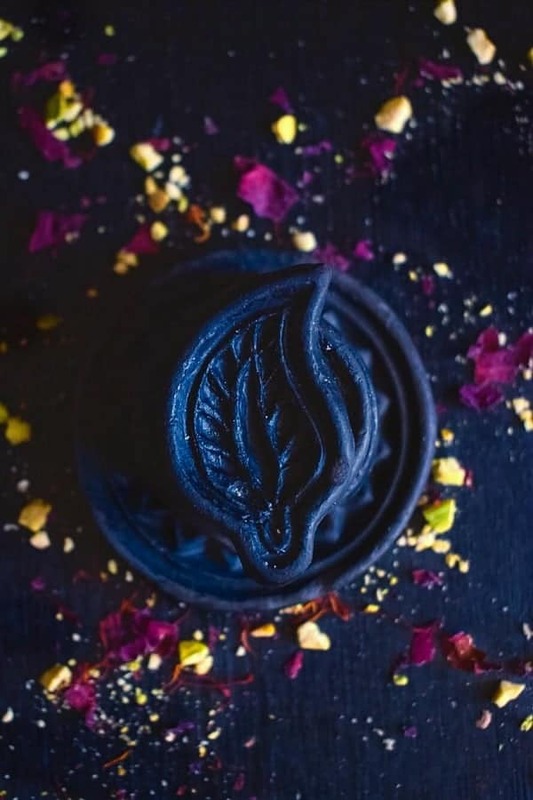 Which is definitely delicious, but an extremely laborious process and that’s one of the main reason why it’s not made so often (trust me it’s a very simple sweet but the traditional recipe is lengthy). How to Make Quick Bengali Sandesh Recipe? How to Make Bengali Sandesh using Ricotta Cheese? 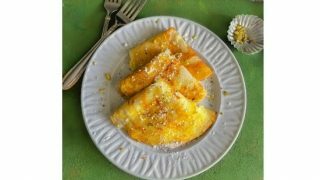 My quicker version uses ‘Ricotta Cheese’ instead of using homemade cheese (paneer/chenna). The texture of Ricotta cheese is similar to the consistency of paneer/chenna needs to make the Sandesh or Sondesh recipe. 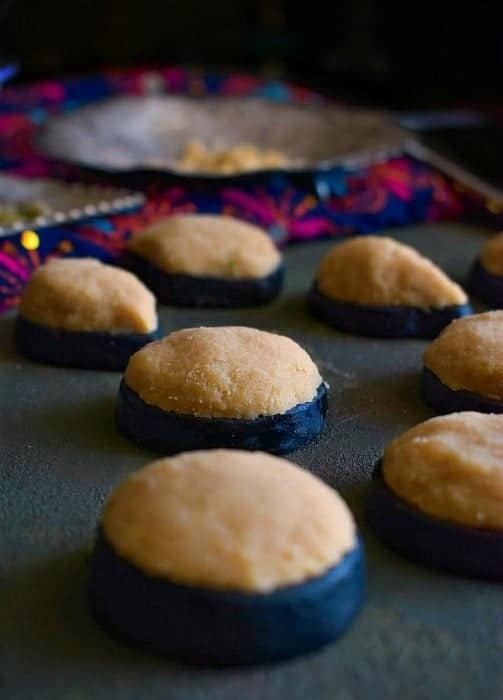 After shifting to the US, I came up with this extremely easy and Quick Bengali Sandesh Recipe (tasting similar to the original one). 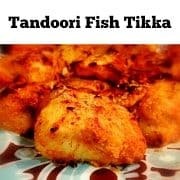 It turned out so good that it actually became favorite of all our friends/family and a MUST on festive occasions. 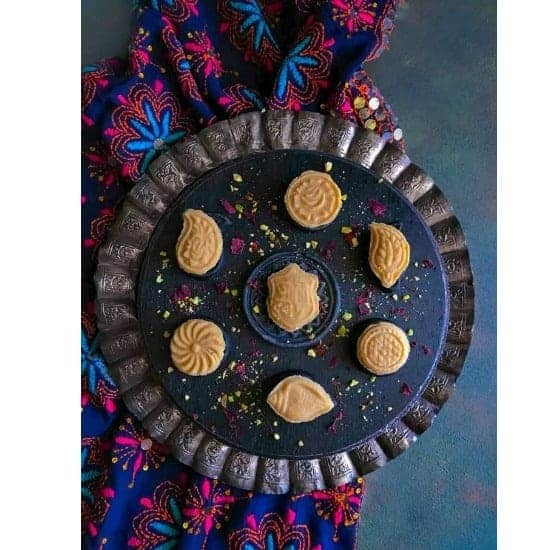 I had asked him to get me some sweet molds from there and I was so excited to see these traditional ‘half wood – half stone’ authentic Bengali Sandesh molds sent by my mother-in-law. She had them since the time she got married and they have been used year after year and still remain absolutely exquisite. So here I’m making these delectable sweets for D, cherishing each moment and thanking my mom-in-law for passing down a piece of the family tradition to me! Now, the molds do make, making the Sandesh lot easier and fun but you can definitely make them without any molds too. Just shape them into any size or forms you like, the easiest one is a ball and stick some dry fruits on top. 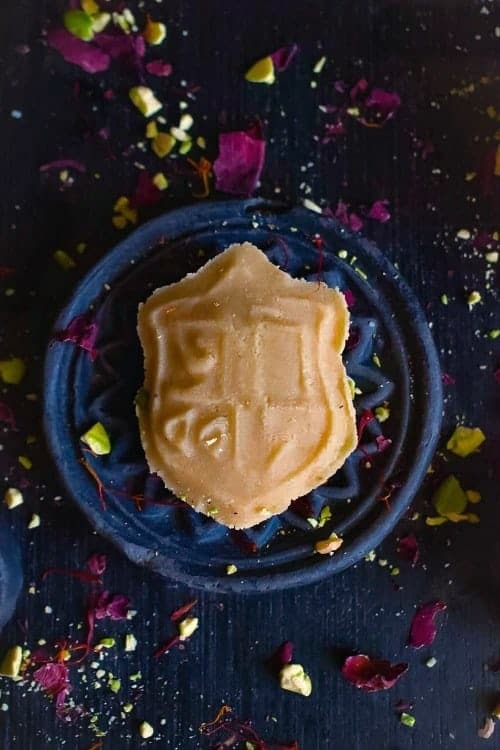 So, this Quick Bengali Sandesh Recipe is an actual fusion of ‘Tradition with Modernity’, where the end result is absolutely scrumptious! It’s a no mess or as my friends call it, no-fuss recipe. It’s extremely easy to make and I can guarantee, once you make them, you cannot stop eating it…I’ve literally seen people fight over the last crumbs too! 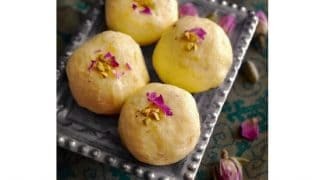 It takes 15 minutes to make the Sandesh dough and another 15-20 minutes to make this Bengali Sandesh Recipe using the molds. If you are not using molds and simply making balls, then it’s even quicker to make. 1. Always, apply some oil to the molds (every nook and cranny of it). This helps in removing the sandesh from the mold when it’s done. 2. 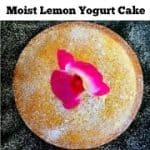 Wash the molds with mild soap, air dry or wipe with cloth making sure no water is left (especially if using traditional molds) as they might rust or grow fungus from leftover crumbs. 3. Once washed and dry, use a little oil and evenly massage them to retain that gloss or smoothness. 4. Store them in a box and not cramped in a bag as they might scratch and change the design of your sandesh. 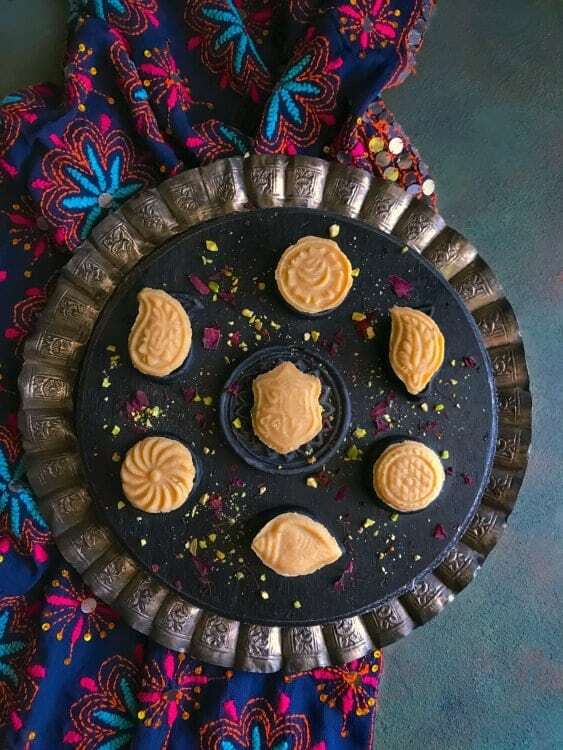 Here are some different shots of the mold and sandesh and I hope you make my recipe a part of your festive celebrations or any other party too. 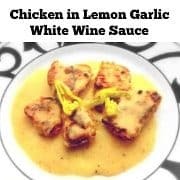 You can even make this 2-3 day in advance and keep in the fridge or they even make great gifts. Just wrap them in cute cupcake wrappers or in any gift box. This recipe makes 21 medium Bengali Sandesh Recipe. It’s a perfect sweet to celebrate any Indian festival or served in any parties. Bengali Sandesh Recipe: Absolutely divine & equally easy recipe to make Sandesh / Sondesh, as extremely popular Bengali/Indian dessert. 15 oz Ricotta Cheese - the regular jar/cup that you get in any local store. Lightly oil the molds and keep aside. In a large microwaveable bowl, add ricotta cheese, condense milk, ghee and sugar. Mix this to a smooth consistency and microwave for 3 minutes on high (don't cover the bowl) - This forms granule in the mixture for texture. Remove the microwaved content to a non-stick pan and saute this mixture over medium heat for 5 minutes. (saute every 30 seconds to make sure it doesn't stick to bottom of the pan.). Now, add saffron, cardamom, pistachio and saute for another 3-4 minutes over low heat. By this time, the mixture would have become more solid and started to leave the edges of the pan when you turn it. Also, the color would be light golden brown (you can even smell the fragrance like cooked ghee with flour). Remove from heat and let it cool to touch. Use few drops of oil and spread it in your hand. Take a tbsp of mixture and make rough circle and stick on top of the mold. Remove any excess from the edges of the mold and press the mixture into the mold. Leave it for 3 seconds and gently remove the sandesh from the mold. Similarly, make all the sandesh using the molds. Simple make a dough and divide the entire mixture into equal parts (I made 21 sandesh). Now, roll each part in your palms to form a round ball. You can stick some dry fruits on top of each balls. Complete the process till all the sandesh are made. Serve the sandesh fresh or you can keep them in fridge for upto 3-4 days. 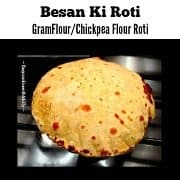 8 Replies to "Bengali Sandesh Recipe - How to Make Sandesh using Ricotta Cheese"
Does “condense milk” mean sweetened condensed milk, or evaporated milk, or something else? Hi Marie, Yes, the ‘condensed milk’ means ‘sweetened condensed milk’ and not evaporated milk. Hello! My Daughter and I are about to make these without the molds for a project on Bangladesh for united nation days at school. I just want to ask if we are making them without the molds do we need to heat up the ingredients as you do in the first set of instructions for those using the molds ? Or do we simply mix everything together in a bowl without needing to heat anything up? Thank you!! lots n lots of blessings to you. just finished making and the sandesh came out extremely delicious. Just loved the ease of making this. Happy Diwali ! 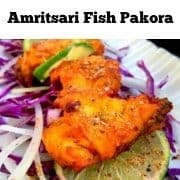 I made it for Diwali , turned out yummy .